Chris Guthrie has been reappointed to a five-year term as dean of the Vanderbilt Law School. He will begin his third term on July 1, 2019, Provost and Vice Chancellor for Academic Affairs Susan R. Wente announced today. 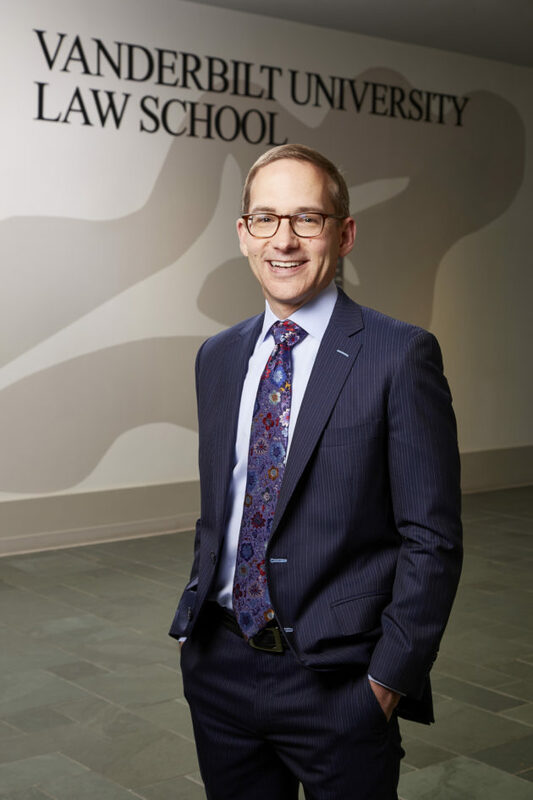 Guthrie, the John Wade-Kent Syverud Professor of Law, graduated with distinction and honors from Stanford University, earning his master’s in education from the Harvard Graduate School of Education and a law degree from Stanford Law School. Guthrie joined the faculty in 2002, served as associate dean for academic affairs under both of his predecessors and was named dean in 2009. He is one of the most widely cited law and social science scholars in the legal academy, with research interests that include behavioral law and economics, dispute resolution, negotiation and judicial decision-making. During the decade he has served as dean, the Law School has hired more than 40 percent of its current faculty and awarded endowed chairs to 14 faculty members. 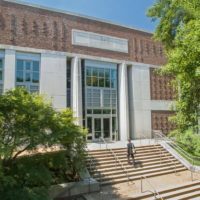 Throughout this period, the Law School faculty has ranked in the top 10 nationally in “scholarly prominence” as measured by citations to scholarship and has sustained its reputation for excellence in classroom teaching and mentorship of students. The Law School has also invested heavily in its students. Thanks to alumni support, the Law School has nearly doubled the number of endowed scholarships that were available in 2009. 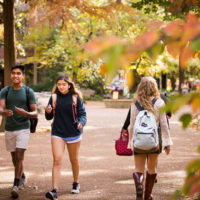 In addition, the Law School has enhanced the student experience by securing a transformative $12.75 million gift announced Jan. 23 from former Vanderbilt Board of Trust chairman Mark Dalton, JD’75, to fuel the Law School’s path-breaking Law and Business Program. Other investments include the George Barrett Social Justice Program, which provides unprecedented opportunities for students interested in public interest law; the nationally recognized Program on Law and Innovation; and a unique joint degree program in law and finance with the Owen School of Management. During the post-World War II era, only two Vanderbilt Law deans have served longer than Guthrie: John Wade from 1952 to 1972 and John Costonis from 1985 to 1996.